Italian polymath Andrea Ferolla is one half of the creative duo (along with partner Daria Reina) behind the super stylish Roman boutique, Chez Dédé– a store, studio and gallery that works with artisans and makers around the world gathering together a covetable collection of china, books, stationery, shoes and other accessories. Now the duo have created a book that celebrates the essence of their home country’s style. 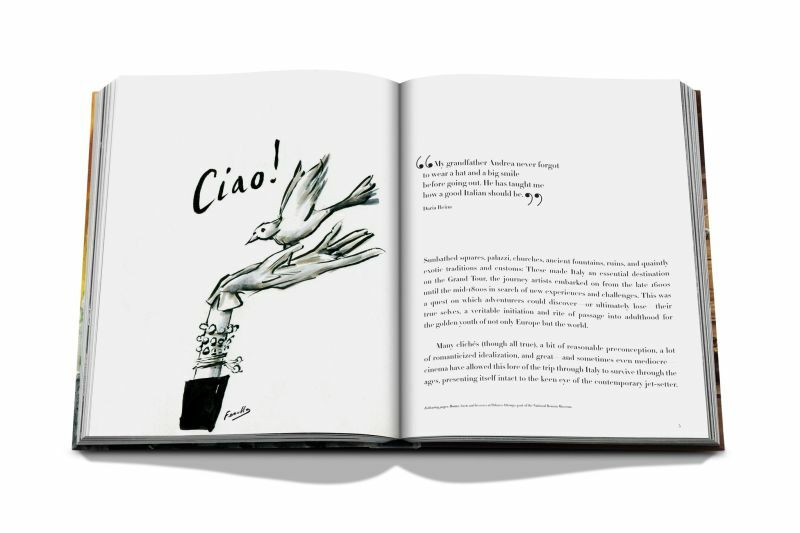 Italian Chic, published by Assouline this month, takes the reader on a whirlwind tour of the couple’s favourite Italian places – galleries, views, stores, cafés – all of which are accompanied by Ferolla’s exquisite illustrations and Reina’s photographs.